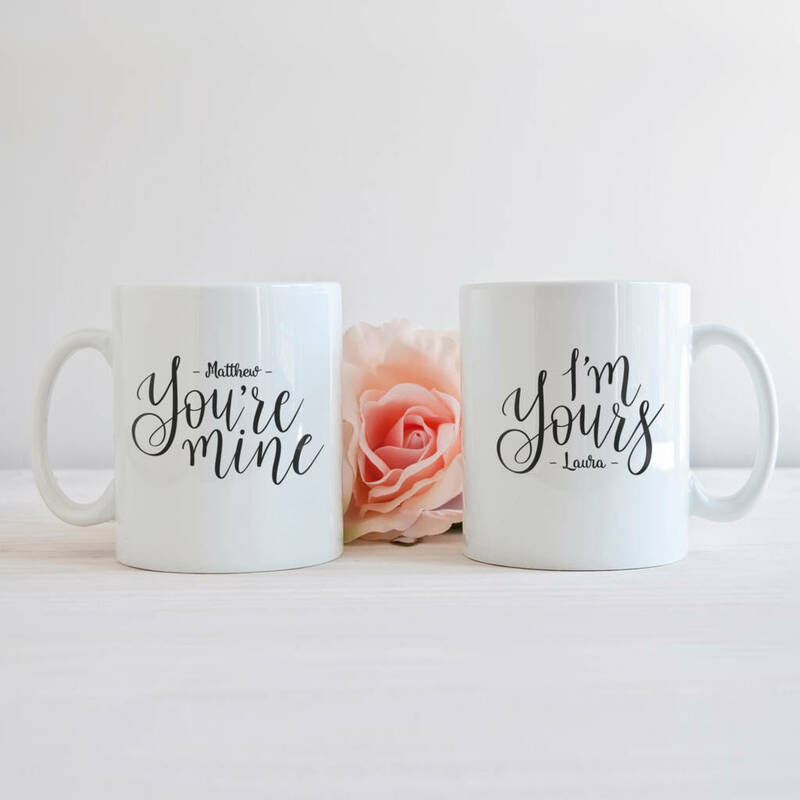 Gorgeous personalised ceramic 'I'm Yours' and 'You're Mine' mug gift set. A beautiful way to show your partner how much you love them. A perfect gift for engagements, anniversaries and weddings. 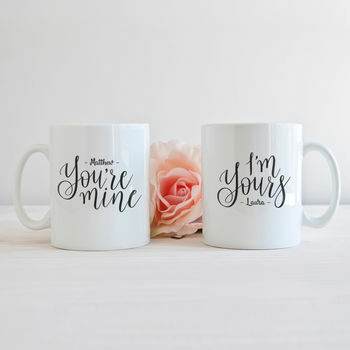 These personalised 'I'm yours' and 'You're mine' typography quote mugs have been lovingly hand lettered by Hope and Halcyon and is exclusive to notonthehighstreet.com!